BTPNY was born out of love and necessity. Brandon grew up with parents who both shot 35mm film SLR cameras. He started shooting at an early age, learning theory, composition and timing. As digital technology began to change the shape of the photographic world, he saved his money for his first digital camera (when other kids his age were saving for their video game consoles), and picked up his first digital camera and a copy of Photoshop. By high school, he was in the darkroom daily developing photos, getting critiqued and learning the art of developing. He picked up countless books on HTML, Java and web design and started honing his craft for working in the digital medium. Following High School Brandon had several choices to make. With so many passions dear to him (Photography, Web Design, Automotive, Music), it was important to follow one of his passions so he'd always be happy. Countless options were presented to him during a difficult time in his life and he ultimately decided to accept a full scholarship studying Automotive and Diesel technology. Brandon continued to shoot as he studied, and picked up a job restoring classic cars. Though the physical work was hard, it was rewarding to see cars turn from heaps into dream cars, to see creativity pay off, to mold metal and cut wood and to restore beauty in what others wouldn't believe was salvageable. Soon the shop he worked for employed him to work on their website and shoot products prior to delivery. Shortly before graduation, just as life was going alright, Brandon's health began to fail him. The physical side of working on cars had begun to take a toll on him and after getting checked in the hospital, the tests came back with bad news. Brandon finished his schooling and graduated top of his class, but then had to undergo major surgery. Following his surgery, Brandon had to re-learn everything in his life from breathing, walking to simply getting out of bed. Every subtle part of life was a struggle and it took him quite a while to understand that he was unable to do all the things he was once capable of doing. It took three years of difficult rehab for Brandon to feel comfortable with life. Eventually Brandon realized that he needed to find something else that made himself happy, so he went out, got a job, saved every penny from it and invested it all into camera gear to build a photography business. Brandon attended every possible lecture, class and seminar he could find, from experts in every possible area of photography, such as portrait, sports, commercial work, weddings, nature, lighting and post processing. He took the tips, tricks and techniques that he learned from each photographer and began applying them to his personal work. After building a solid portfolio he was proud of, opportunities began to present themselves. With Brandon's work ethic, diligence, and time working closely with veteran's of the industry, Brandon took his photography to the next level. Daily work honed his skills, kept his creativity flowing and refined his process. Reflection Photo Courtesy of Steven Ryan. Above Stadium Series photos courtesy of Peter Keeling. Since then, Brandon has had positions at numerous studios that specialized in everything from sports, commercial work, food, wedding and event photography. His true passion has become his work covering the sport of Hockey, he has shot 27 of the 30 National Hockey League (NHL) Teams as a credentialed photographer. He has covered high profile events such as the Coors Light Stadium Series games at Yankee Stadium, the 2013 NHL Entry Draft at the Prudential Center in Newark, New Jersey as well as riding the Long Island Rail Road with the NY Islanders to the Barclay's Center in Brooklyn for their first official Team Practice at the facility. Brandon has been featured on Islanders.NHL.com as the NY Islanders photographer for their Prospect Updates, the 2014 NY Islanders Mini-Camp as well as the 2014 Blue and White Rookie Scrimmage. 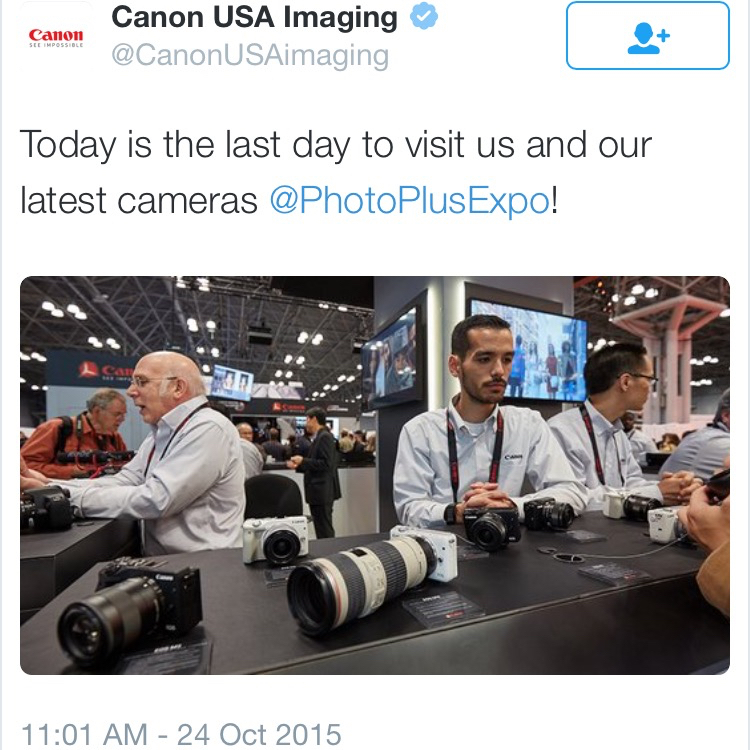 Since then, Brandon has joined the Canon USA family. He started out as a Technical Representative, and Product Educator for the Canon Digital Camera Team covering the New York, and Tri-State area. As well as traveling the US to educate photographers across the nation at various events. Now he works as a Technical Specialist based out of Canon USA's North American HQ. You can find him speaking with photographers, and videographers of every level at events such as CES, NAB, ImagingUSA, WPPI, PhotoPlus, and various other trade shows. In addition to his work at Canon, he also works as the NY Region Staff Photographer,and Assistant Editor for Inside Hockey, where he publishes articles for various writers across North America, while providing photography to accompany their stories, working as a Photojournalist.